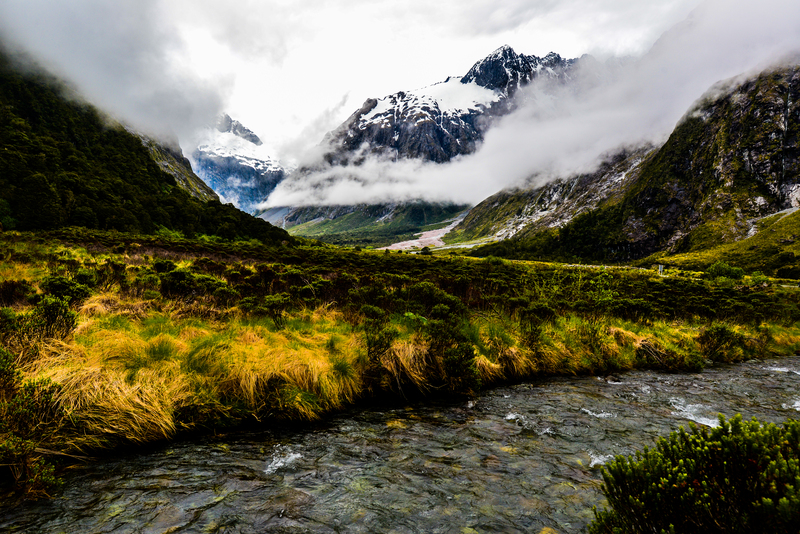 “Whatever you do, do NOT drive yourselves to Milford Sound!” Those are the first words we heard when talking to a native New Zealander about our upcoming trip to Milford Sound. Given that we were considering doing so in a Campervan made us hesitate slightly about our choice and we almost re-considered but chose to do it anyway. Why the warning? Because Milford Sound receives thousands of visitors each year, and can become overly crowded, not to mention the large, dangerous, speeding tour buses trucking along without a care in the world (or consideration to other drivers). But we do not enjoy large tour buses or crowds and would prefer doing our own thing in our own timing, so we opted to take the risk and just go slowly. We are SO glad we did. 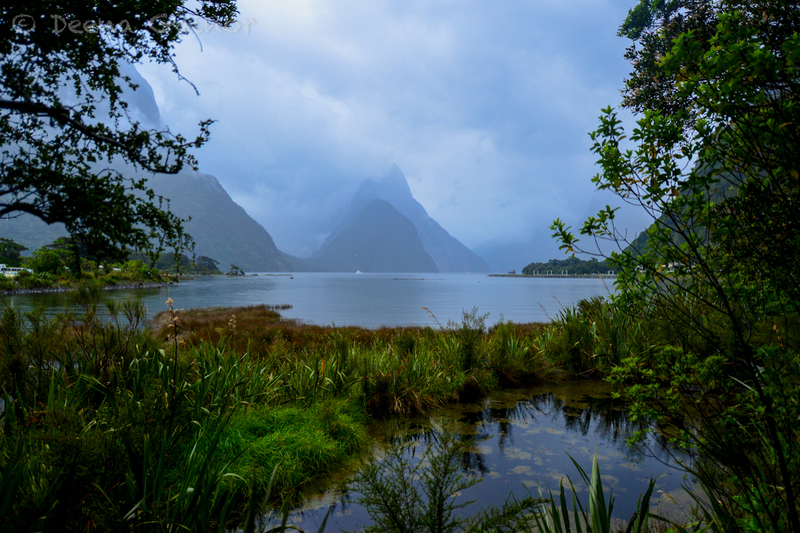 We chose to go up to Milford Sound Lodge and stay the night in a Campervan, which allowed us to take our time, appreciate the scenery, and also enjoy a lovely cruise prior to the numerous tour buses arriving from Queenstown and Ta Anau. Below is just a taste of what we saw on our way up! The rivers, waterfalls, and snow capped mountains were stunning. Since we were here just before peak season (in early December), the crowds were non-existent, at least in the early morning and late evening. That was a pleasant surprise. It was a totally different story when we returned to the dock after our cruise. Tour buses had certainly flooded in, and the cruise terminal was jam packed full of sightseers. We breathed a sigh of relief and were thankful that we had chosen to stay overnight and avoid the crowds. After a peaceful night in our Campervan at Milford Sound Lodge, we boarded our sailing vessel (Southern Discoveries), assuming it would be super crowded. The reality? There may have been fifteen other people on board. That was it! It felt like we had most of the boat to ourselves and we were quite shocked. Here are a few photos of our family from the cruise itself. It is well worth the time and money to do and words can hardly describe the experience. (As an aside, Real Journeys also offers an excellent cruise). This is really cool, Mom! 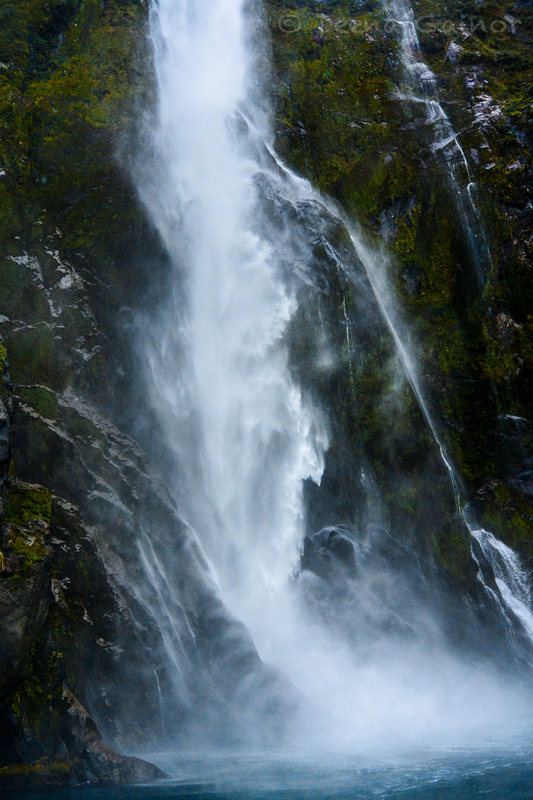 We also wanted to share a few highlights from Milford Sound. Unfortunately, the photos below don’t seem to capture the magnitude and grandeur of the Sound, but for now photos will have to do, until you are able to visit for yourselves. Enjoy! I am thrilled you guys went the camper way and seems it worked out well for you. Seems you saw a lot of the top spots. So pleased you ignored and drove to Milford as well, who on earth would tell you not to I can’t imagine. The only thing we watch out for on the roads is tourists in campers! haha. Thank you so much, Lanie! Thanks for being willing to take time to read it and follow along! Happy New Year!